Out with the old, in with new iPods? Apple has cut the price of its fifth generation Apple iPod in the UK by as much as £20. Hoping to boost sales, the price of the 30GB black and white video iPods is now £179, down from £189, while the black and white 80GB models have been slashed to £239 from £259. Apparently it's only the UK that has been treated to these price cuts. The US Apple Store still lists the 30GB Apple iPod at $249 (about £127), and $349 (£177) for the 80GB version. So, does this mean that we are soon to see shiny new Apple iPods? Sadly, despite the price drop, it doesn't look like we'll see the new range of iPods until later on this year. 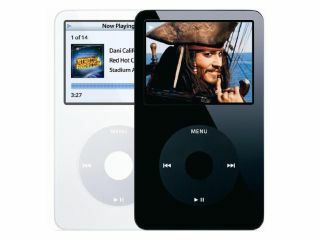 AppleInsider previously reported that sixth-generation iPods aren't likely to appear until the third quarter of 2007 at best. The pricing of the Apple iPod nano and Apple iPod shuffle remain the same, at £99 and £55 respectively.